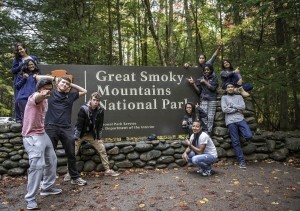 The Great Smokey Mountains National Park, which extends from Tennessee through North Caroline, was the place of choice for the Digital Photography class who had high hopes for capturing beautiful fall colors. 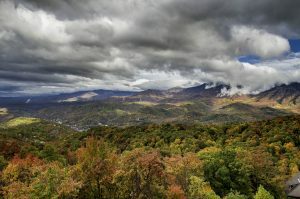 The rolling Hills of the Smoky Mountains boast some of the most breathtaking views and unique experiences. Ridge upon ridge of forest straddles the border between North Carolina and Tennessee in Great Smoky Mountains National Park. World renowned for its diversity of plant and animal life, the beauty of its ancient mountains, and the quality of its remnants of Southern Appalachian mountain culture, this is America’s most visited national park. The Great Smoky Mountains National Park encompasses over one-half million acres, making it one of the largest natural areas in the East.